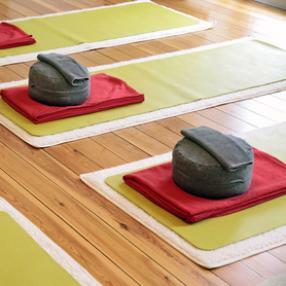 Rejuvenating practice dedicated to deeply opening and strengthening the body. Class centers around conditioning movements that help re-balance the mind-body connection while building strength and stamina for more vigorous classes. Expect deep stretches and creative core sequences. A fusion of Pilates and Yoga with elements of core conditioning and strength training. The unique thing about Yogalates is your body can use its muscles in different ways. Flow Yoga and Mat Pilates fuse to focus on the core while building strength, flexibility and balance training all in once class. Part of our signature 532Yoga Vinyasa classes, which provide intelligently designed sequences based on an informed, aligned foundation. This class promotes a limber, strong, and flexible physical body as well as a calm and serene mind. Let go of the stresses and tensions of the day, and work through a graceful fluid flow interspersed with the holding of postures to allow for deeper integration of mindfulness and consciousness. Integration of the whole self is achieved simply by (re)turning our attention to what is most natural – the fluid, flowing breath synchronized with movement or stillness. Stress relief and renewed vitality will follow naturally from the practice of attending to each living moment. Open to All Levels.